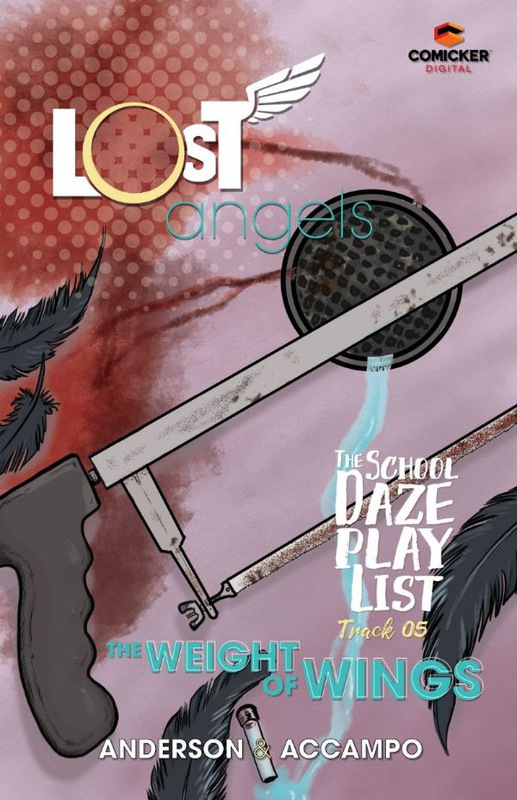 The latest issue of Lost Angels: The School Daze Playlist is out this week from Comicker Digital. 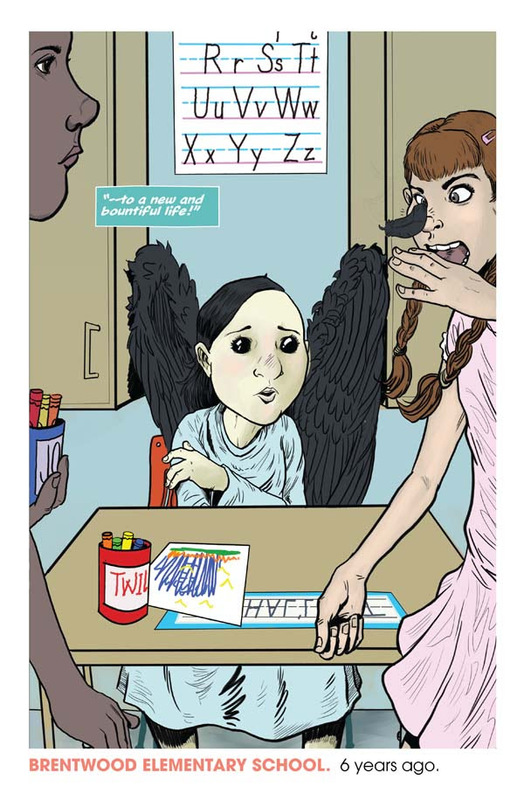 Crime, culture, and coming-of-age take flight in LOST ANGELS – a sci-fi series set in a world where Los Angeles residents coexist with a race of alien angels. As tensions between communities boil over, high school student Alex Martinez must navigate an everyday life that takes her from the highest spires of the Silver City to the underground ruins of Old Santa Monica. 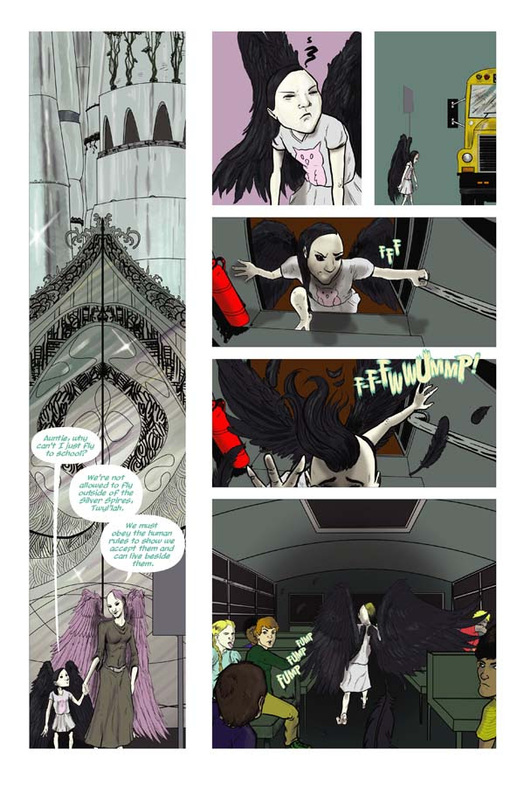 After the startling revelations at the end of PARADISE HIGH, the first volume of LOST ANGELS, life settles back into its normal routine – as normal as it gets at Paradise High! THE SCHOOL DAZE PLAYLIST follows Alex, Daur’ek and various students (and faculty) through eight interlocking short stories that range from romance to mystery to action to comedy – each story with its own accompanying music playlist. 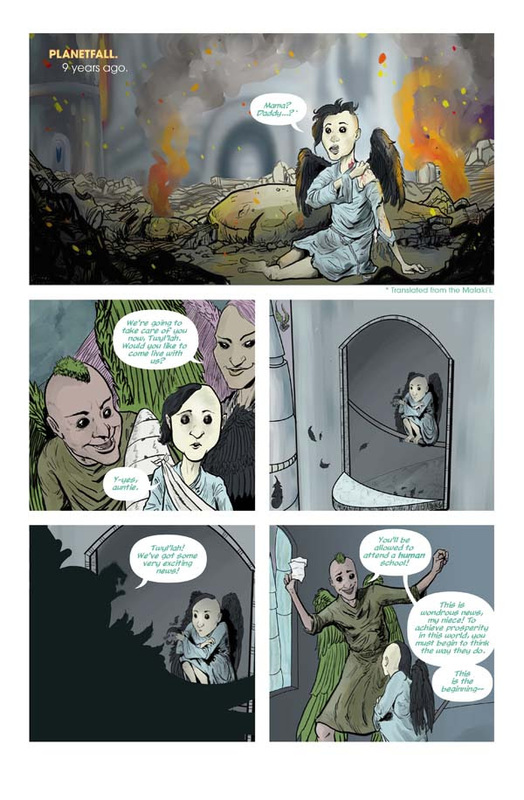 In this issue, Twyl’lah just wants to escape. From Paradise High, from her wings, from herself. But who would leave Paradise? And what is the cost of that freedom?